Buy your Urgent Bracelet today! You are here: Home / shop / Buy your Urgent Bracelet today! 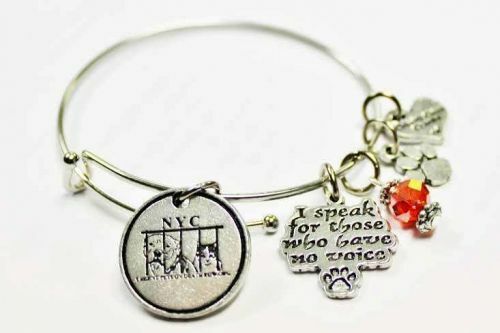 Many have been asking where they can get the URGENT bracelet that they see our admins and volunteers wearing… well, here it is Each bracelet comes with the Urgent logo, an “I Speak For Those Who Have No Voice” charm, a red crystal and a paw print!! The bracelets are made from pewter (it has a luster reminiscent of silver, but without as much possibility of tarnishing) and are manufactured by Chubby Chico Charms. Please allow 2 -4 weeks for delivery as they are still in production. THANK YOU!! Next Post: Adopt an Adorable Plushies! « Previous: Get Your Team URGENT Gear Today!